We're in the process of updating this site to become the main source for information regarding LZ Bands. 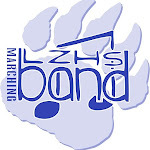 The high school site will still have basic information regarding classes, contacts etc., but this site will be used in tandem with the Band Boosters site to help promote and inform everyone what a great band program we have. If you have ideas how we can improve the site-let us know!